What Cycle? bike buyer’s guide on sale now! 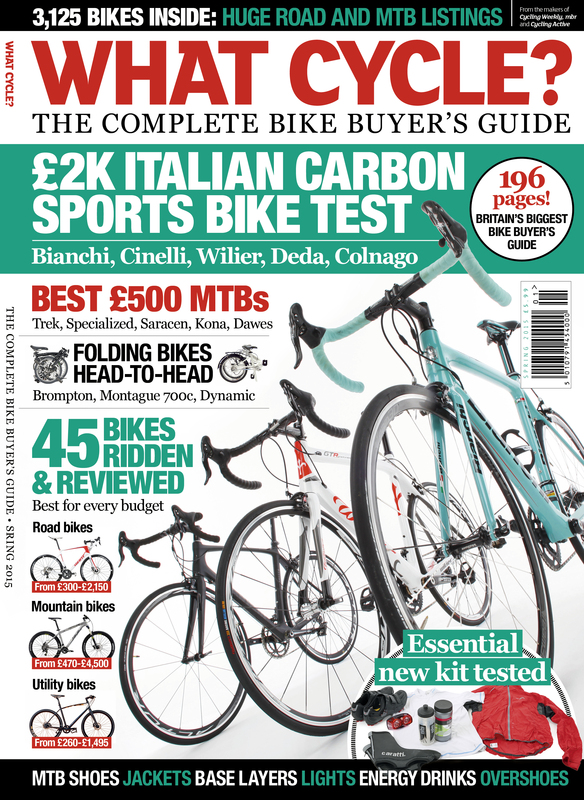 Britain’s biggest bike buyer’s guide with 45 full bike reviews, six essential cycle kit grouptests and the UK’s most complete new bike listings. What Cycle? is Britain’s biggest bike buyer’s guide and the latest, most up to date issue hits the shelves today with 45 full bike reviews, six essential cycle kit grouptests and the UK’s most complete new bike listings. What Cycle? features essential bike buying and fitting advice to ensure you make the perfect purchase as well as information to help you understand the Cycle to Work tax saving scheme. Five of the finest carbon sports bikes from Bianchi, Colnago, Deda, Cinelli and Wilier in a head-to-head showdown. Looking for a great value mountain bike? Our experts pick the best from Trek, Specialized, Saracen, Kona and Dawes. Three commuter-perfect folding bikes from Brompton, Dynamic and Montague. Base layers, overshoes, packable jackets, lights, sports drinks and mountain bike shoes all put to the test. What Cycle? – The Complete Bike Buyer’s Guide Spring issue on sale now priced £5.99 at WHSmith, major supermarkets and all good newsagents.